Soft aubergine, garlicky lemon yoghurt, crunchy chickpeas.......flavour and texture combinations are top notch in a fatteh! Toast the pitta in the oven or in a toaster until it is firm and crisp, set aside to cool. Mix the chickpeas with a drizzle of oil and a good dash of salt, put them onto a baking tray and roast for around 15 minutes. Get all of the composite parts in bowls and around your serving plate. 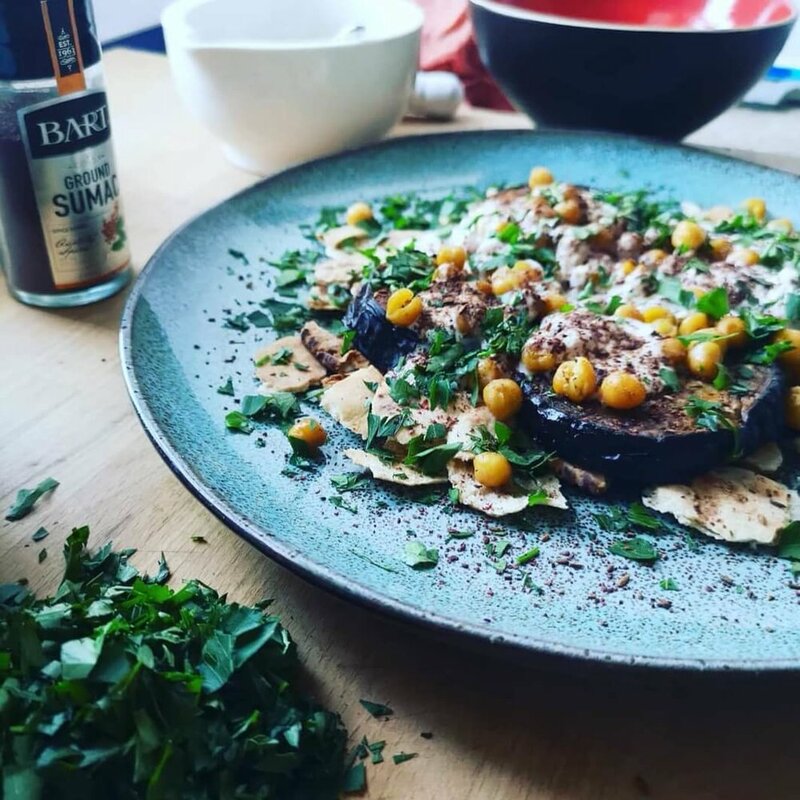 Tear the pitta into pieces and scatter on the plate, then add the toppings in this order - aubergine, chickpeas, yoghurt, cumin, parsley, sumac. Serve and eat immediately.